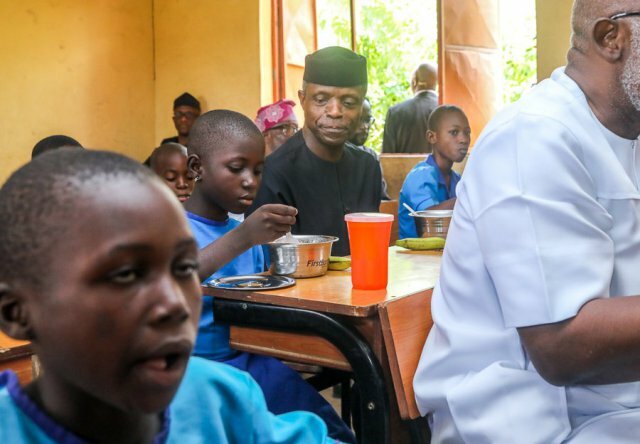 In his 2018 Democracy day speech, Vice-President Yemi Osinbajo said its not fair for anybody to compare the present administration’s performance in just three years to the 16 years spent by the Peoples Democratic Party. Osinbajo spoke at a gala night/dinner organised to round off activities marking the 2018 Democracy Day saying it was important for the current government officials to thank God for having been in office for three years. He said he would not have believed the prophesy if anybody had told him five years ago that he would become the nation’s Vice-President. Osinbajo said the administration had recorded great success. He that for those who had been in government for 16 years comparing themselves to an administration that was just three years, showed that the administration had done very well. Earlier, the Secretary to the Government of the Federation, Mr. Boss Mustapha, described the evening as auspicious in the sense that it was the third year of Buhari’s administration and 19 years of democracy. “As we go into the fourth lap of this administration, good things are about to happen,” he said.